Sometimes a topic becomes so big, I find it hard to write about it. That’s how it has been with David and Poland. He came back – safe and wiser. It was a hard trip, a good one. I have started to look at the pictures he took – hundreds of them. To hear some of the stories, not enough. He called me the night before he was supposed to leave to tell me that there had been a problem with the plane and he didn’t know when they’d get home. He called back shortly later to say that they had emptied another plane to send the boys home on time. In the general mix up of emptying passengers and luggage, a chunk of the boys (and David’s Rabbi/teacher) ended up in Israel a few hours later with no luggage. Davidi was lucky, as his luggage arrived safe and sound. He has no keepsakes from Poland – he bought nothing there. It is not a place to shop, at least while spending most days seeing death, even decades and decades later. The pictures he took remind me of the ones I took; the experiences so similar. There were a few places where people called out to them in anger and hatred but not many. They traveled under very tight security – the bus was checked each time by Israeli security guards; they were not allowed to enter hotels before they too were checked. It rests on a mountain of ashes…ashes of the remains of thousands, perhaps tens of thousands of Jews covered, most likely, by the sand and dirt accumulated over decades while the ashes were left on display. I remember my reaction when I saw the ashes – I was almost physically sick and I was outraged. We don’t display the remains of our dead – that is not our way. We bury them in respect, in mourning. There in Maidanek, we remain prisoners. We cannot free our ashes; we can only come to see them and walk away forever angry and sad. This is not our way. Beyond that picture, are others that touch my heart. He took a picture of the prayer for a safe trip. He took pictures of cars and of the sun setting, of buildings tall and small. He took pictures of the Israeli flags they brought with them and sometimes he took pictures of the words they spoke in a place. Here’s the one from Maidanek. 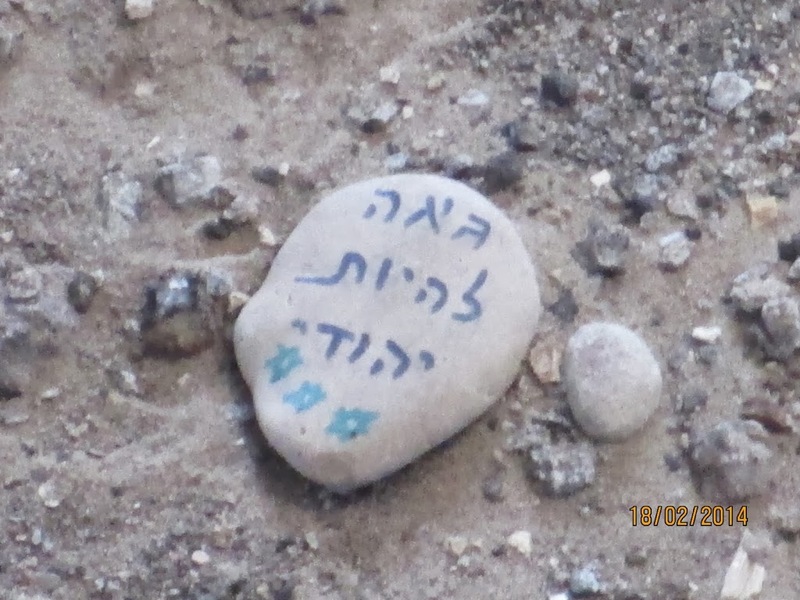 Here in Maidanek, in this place, opposite the terrible site of the Mountain of Ashes, we came to show you a bag, one bag full of dirt from the land of Israel…. We want, here, to declare in front of you, to take a deep breath and tell you…we are the children of this soil before you, soil of the land of Israel. And we want you to know that even though you remain here, still, we continue. We have taken it upon ourselves, with the help of God, to give all we can to the State of Israel, to connect to our faith…and be agents of good deeds, to live our lives as Jews in the land of Israel. We have taken it upon ourselves, each and every one of us in his own way, to continue to do what you wanted to do but weren’t able. We are here and we are alive. And we will return, with God’s help, to continue to live in the land of Israel.